Graduation Candidates Only: Complete the Ceremony Attendance Form by May 3. 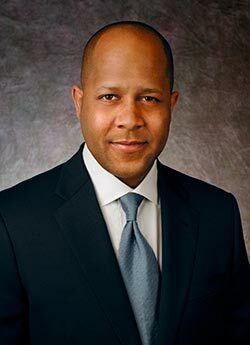 Three-time Emmy Award winner and CBS News correspondent Jeff Pegues (’92) will address graduates and families at Miami University’s 180th spring commencement ceremony. Pegues has nearly three decades of reporting experience covering stories of national and international importance — most recently as the chief justice and homeland security correspondent for CBS. He was part of the CBS News team that earned the Edward R. Murrow Award in 2017 for overall excellence as well as for continuing coverage, investigative reporting and other categories. Students are prohibited from wearing their robes and caps in to Yager Stadium. All bags will be checked upon entering the stadium. Please review the updated list. City of Oxford parking regulations remain in effect for Commencement weekend. RV Parking is currently sold out at Millett Hall. Additional parking with no hookup is available in the Ditmer Lot. The City of Trenton Annual Yard Sale is May 17 - 19, 2019. Use the hashtag #MiamiOHgrad when talking about graduation and related festivities on social media. Photographing nearly 2 million graduates at 6,000 commencement ceremonies and related events each year., GradImages will be on hand to photograph each Miami commencement participant.